By Laura Leech	| March 23, 2018	| Comments Off on Southland Snapshot: Happy St. Patrick’s Day! 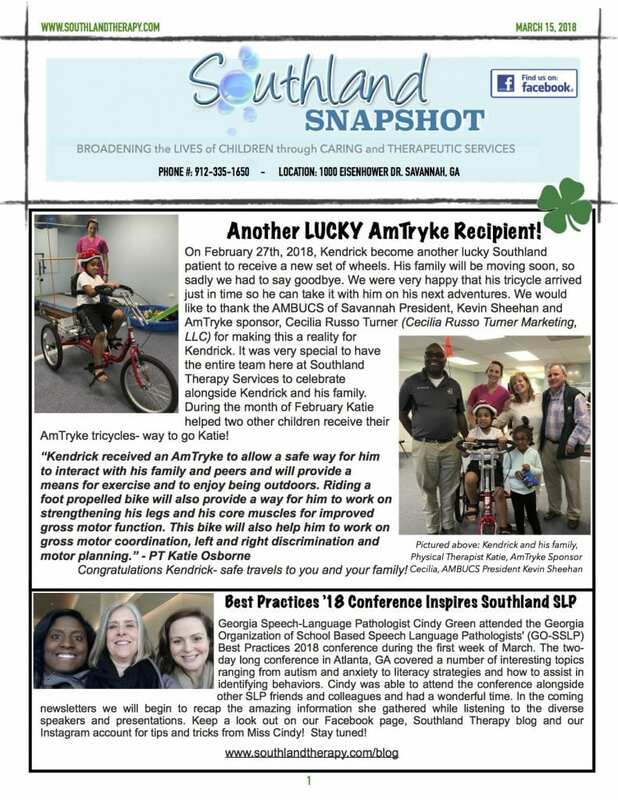 By Laura Leech	| March 9, 2018	| Comments Off on Hiring Pediatric Occupational Therapist- Charleston, SC! 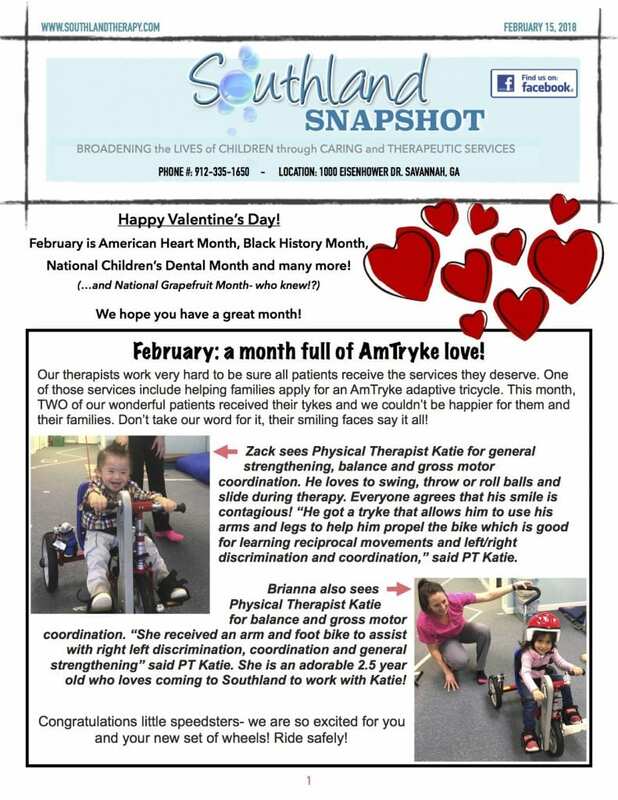 Southland Snapshot: February Newsletter- Happy Valentine’s Day! By Laura Leech	| March 3, 2018	| Comments Off on Southland Snapshot: February Newsletter- Happy Valentine’s Day! 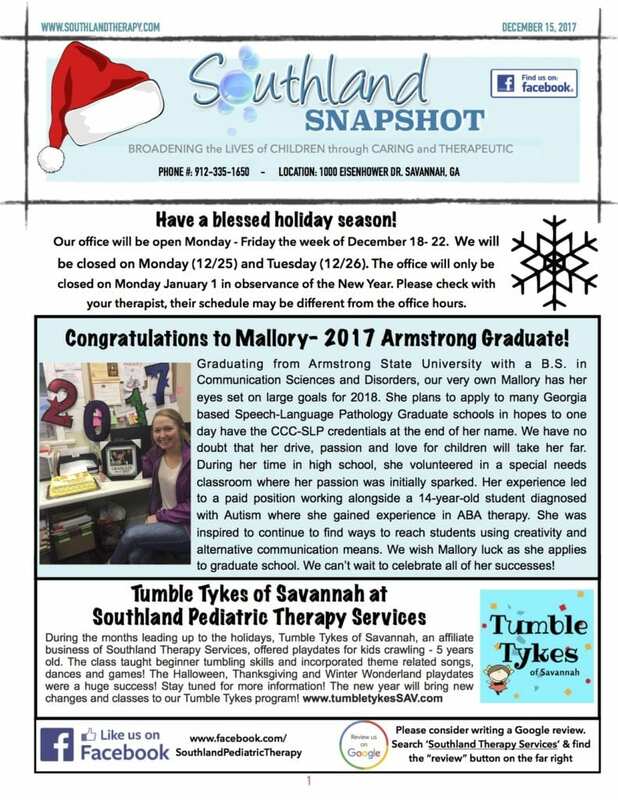 Southland Snapshot: Happy New Year 2018! 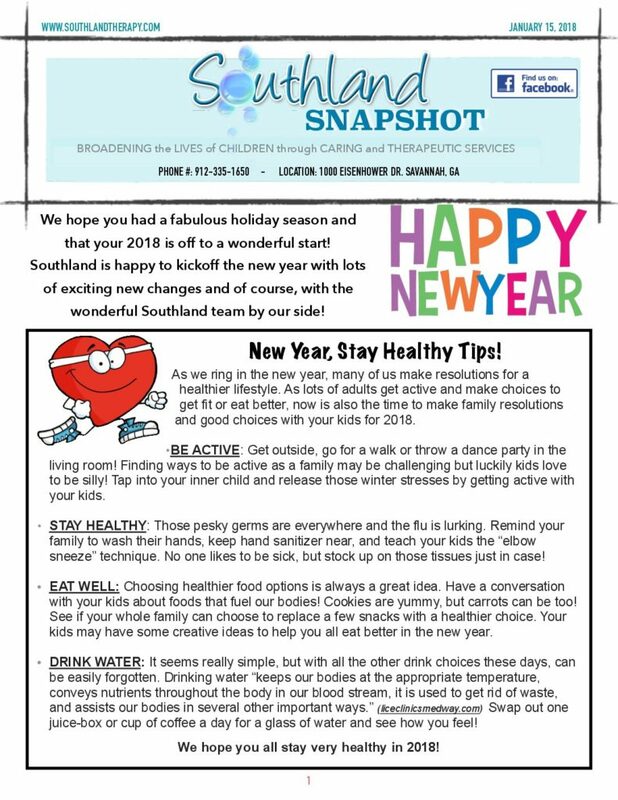 By Laura Leech	| January 16, 2018	| Comments Off on Southland Snapshot: Happy New Year 2018! By Laura Leech	| December 20, 2017	| Comments Off on December Newsletter- Happy Holidays! 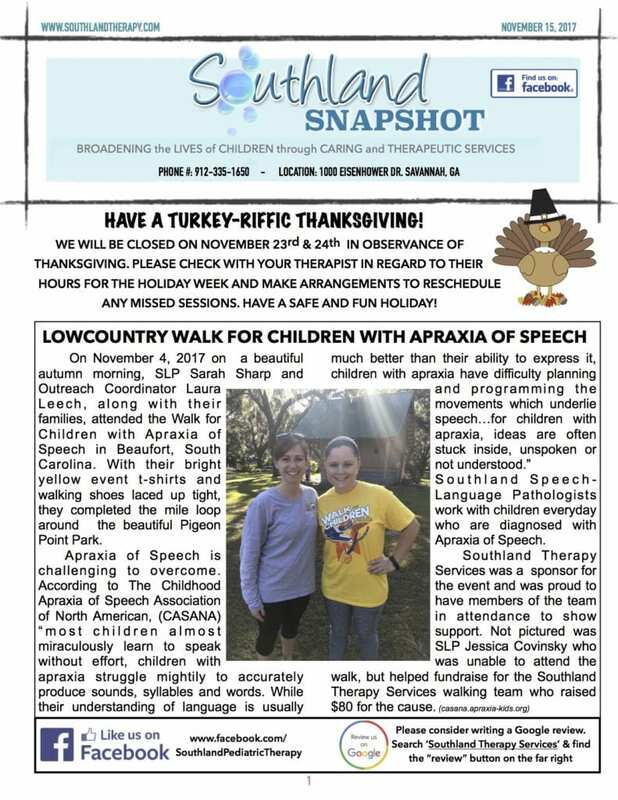 By Laura Leech	| November 16, 2017	| Comments Off on Southland Snapshot: Thanksgiving Edition! 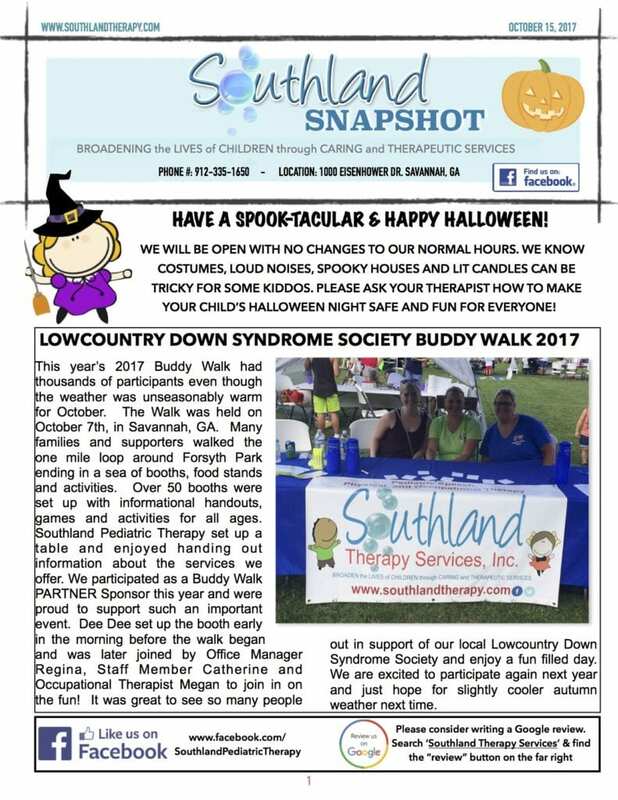 By Laura Leech	| October 19, 2017	| Comments Off on Southland Snapshot: Happy Halloween! Physical Therapy tips for Back to School! 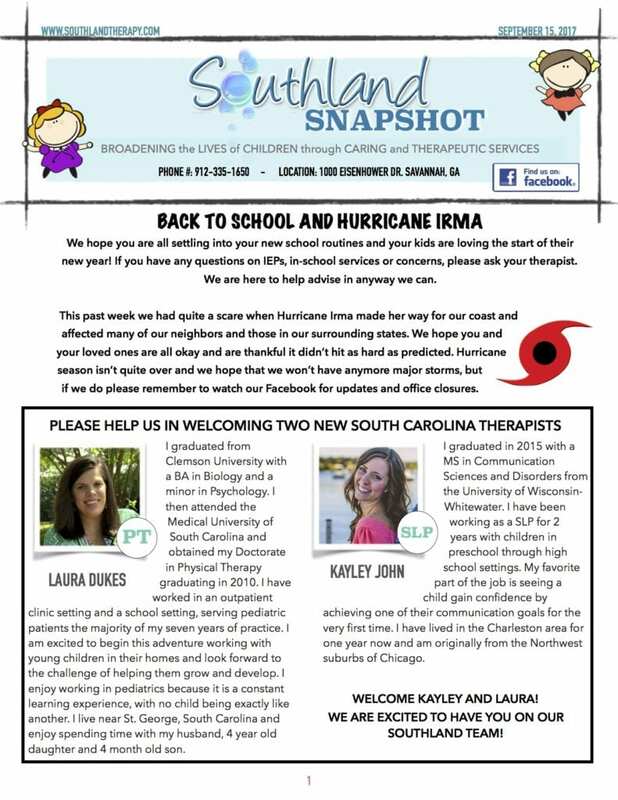 By Laura Leech	| August 17, 2017	| Comments Off on Physical Therapy tips for Back to School! 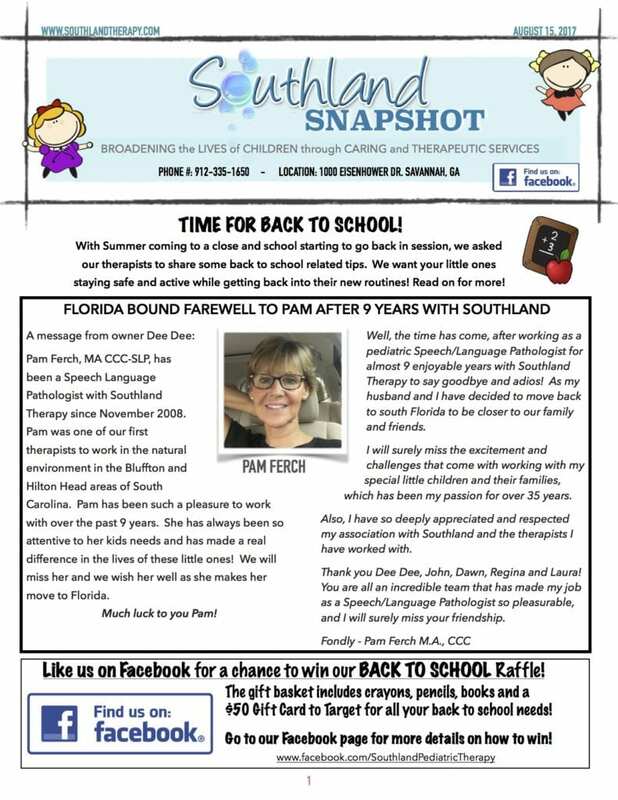 Southland Snapshot- Summer OT Tips and Tools! 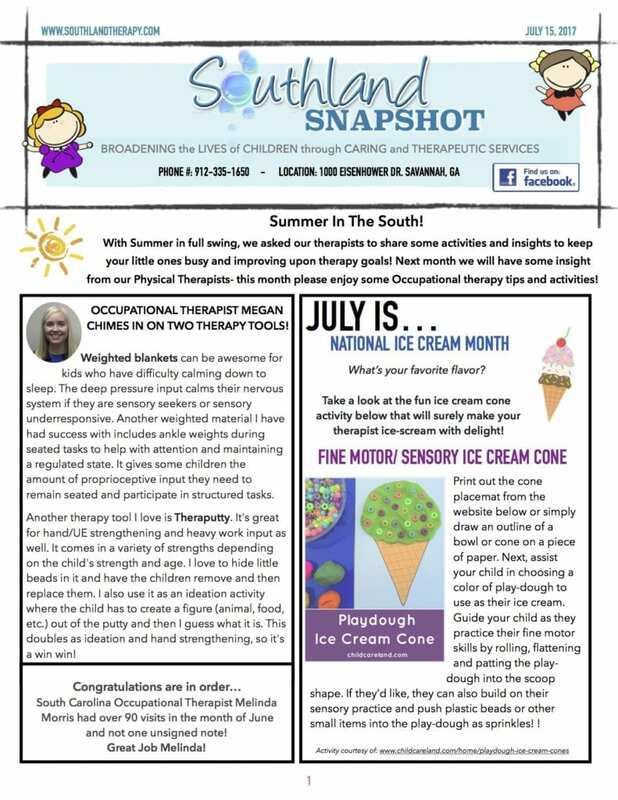 By Laura Leech	| July 17, 2017	| Comments Off on Southland Snapshot- Summer OT Tips and Tools!